We recently received a review from a member of High Country Club who had stayed at the clubs home in Breckenridge. It's an amazingly in depth, 3 page, 1,500 word review. We were planning to add member and owner reviews into our listings of destination club and private residence club homes. So receiving this detailed review acted as the spur to make this happen. As you might imagine in 1,500 words the review covers everything from location, décor, each of the rooms on each of the three levels and the amenities. Doug, the member who sent in the review, even commented on the service, "Upon request, they (High Country Club concierge) FedEx'd the property information and keys to the resort where we were staying the week prior to our week at the Lodge. They also responded to my late evening e-mail regarding a TV issue by having their local property supervisor resolve the problem by the next morning. They are pleasant people who obviously take pride in the service they provide!" High Country Club have been growing rapidly and with members like this, who are willing to provide recommendations like this its no surprise. 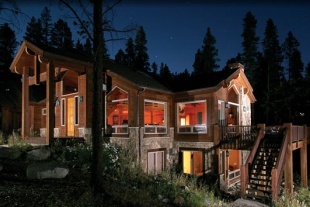 This is the link to the full review of the HCC Breckenridge home. If you're a member of either a destination club or an owner of a luxury fractional or private residence club you can now add in a review. Doug has set a high standard, but just a few notes would be equally useful. You can browse through the listings by state or country or here's where you can search through the listings.